Our 4th of July Sale! Buy three hair products get the 4th for free. Free applies to equal or lesser value. Runs through July 4th. Did you know you can once again schedule your appointments online? You must first register. If you have been to our salon before it will recognize you and your phone number. If not you must fill out a form to get on the schedule. We reserve the right to alter the time slots of appointment scheduled online. We require 48 notice of cancellation for there to be no cancellation charge. Get ready for our App! We soon will be launching our EW App! Stay tuned for all the great ways to keep connected to us. Midnight Edge is the newest trend inspired by NYC after dark. Here Redken Muse Crystal Renn's beautiful dark brunette hair features accents with high-drama blue and chic silver. 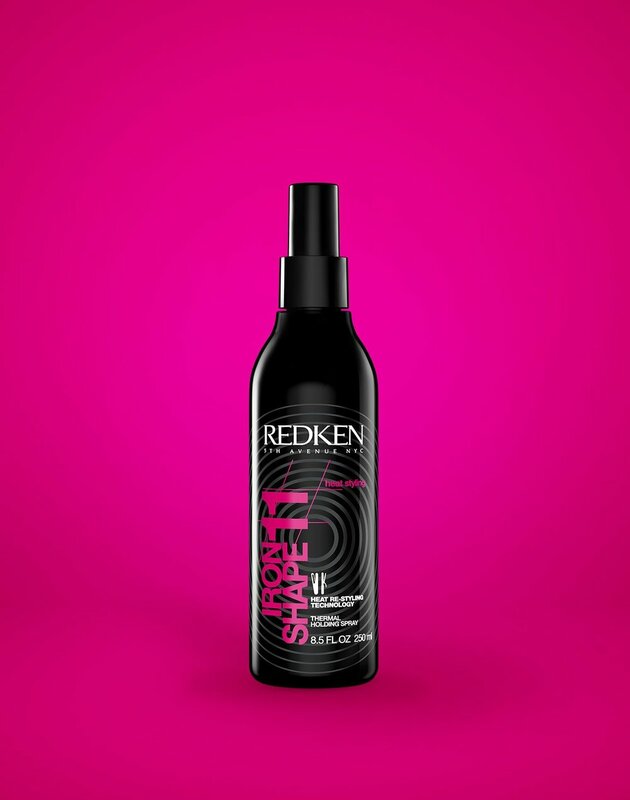 Ask your Redken stylist to create a Midnight Edge look for you and experience the dark drama and NYC glam! 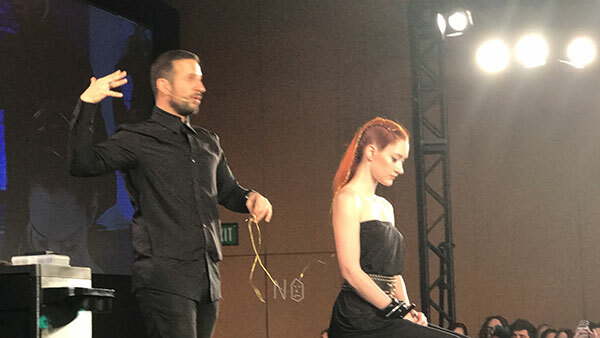 Thank you Redken for your amazing education and inspiration. 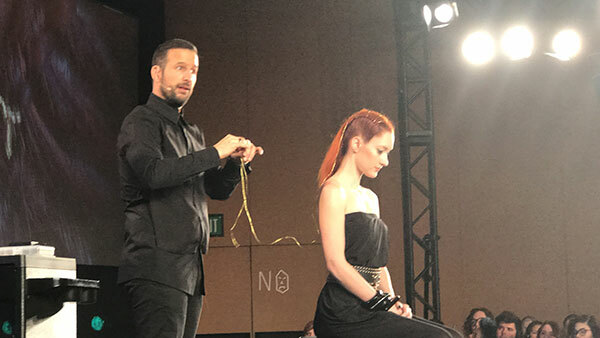 Styling class in Las Vegas 2017 Redken! Click on photo to see the slides. All This WEEK!!!! Happy New Year! We are having a year end sale. We hope you have a blessed time this holiday season. From our team to yours. For you and all of your ongoing support of our Salon and our amazing team. We commit to keep our education at the highest level into next year to better server your beauty needs. With next week being Thanksgiving we want to express our sincere gratitude to you our salon guests for your continued support and ongoing recommendations of our talented team. We simply could not do what we do without you. Take a moment over the next week and focus on what you are thankful for. Gratitude is a powerful state of mind and spirit to be in. How get my hair to dry faster. When using Iron Shape to blow dry your hair not only does it help with heat protection it create shine and strength as well. And combining it with Pillow Proof will speed up your finishing time by helping the water molecules exit the hair faster. Are you a gel or mousse person? Do you favor gels or mousses when styling your hair? Do you use brushes of your hands with your blowdrying? Are you a hairspray fan? No not the movie. LOL but the product. 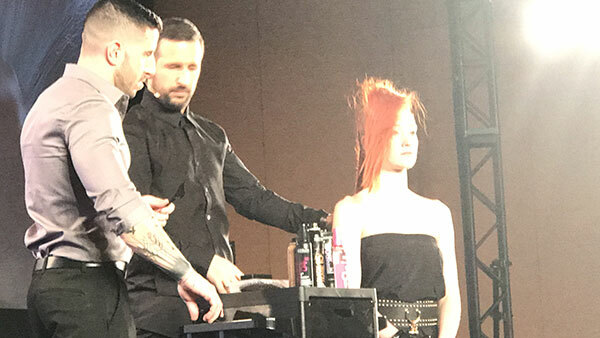 Lots of amazing education for Cosmetologists, Hair Design, Barbers, Esthetics and Nail Technology. Advanced educational events for professionals too. We gathered many friends to have a celebration and balloon drop. Many prizes were given away. You should have been there! 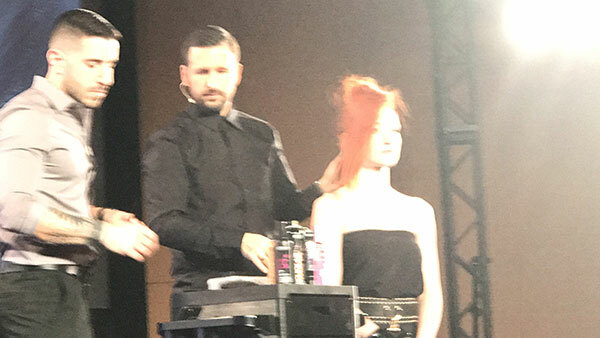 Hair coloring expressed in a stripe method. Overlapping the color in each section to create depth. We are very excited to have been included in the top 20 salons in Portland. Thank you to all who help us with creating a great salon experience for all of our guests.